The internet has revolutionized every aspect of our life, including the way that we do business. Business owners have moved there offices online for a number of reasons, one being access to billions of new and existing clients. For a business to survive online amidst millions of others, the owner must be very strategic. Digital marketing has gone a notch higher with the advancement in technology. But, there are some precautions you should observe. 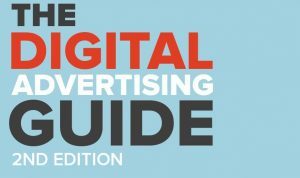 Here are a few things to consider before you start digital advertisement. To get ahead of others in digital marketing, you need to create a strong brand. Your brand should be bold and unique but reflective of your values. You will need to create a lovely website for your business. Once your site is up and running, you will now start attracting visitors to your page. Talk about your brand and what you offer transparently. You should know your target audience so that the information you share should get to the right place. The internet has billions of people. You need to break down your customers to a specific audience. Many brands have gone viral by “word of mouth” or sharing. Share your business with as many online sites as possible. Take advantage of social media sites with billions of users like Facebook. Sharing will make your brand reach many potential customers in a short time. Get customers who have used your product or services to post their reviews. Use these reviews as a learning tool to improve your service delivery. Respond to inquiries. Follow up on complaints. There are many short courses and short forms on digital marketing. You need to have a strong marketing vocabulary. Avoid profane statements or racial terms.